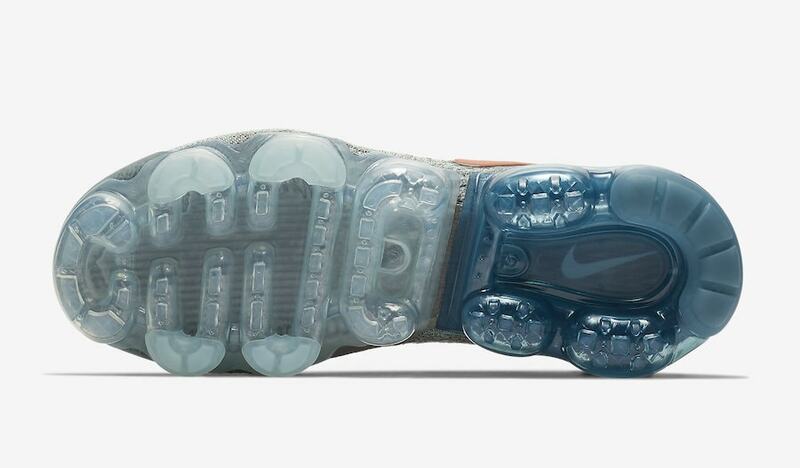 The Air Vapormax is soaring to new heights this year. With new iterations readily available and more colors on the way, the Flyknit Moc 2 variation is slowly beginning to roll out. Check out latest “Celestial Teal” colorway to surface online. The Nike Air Vapormax Flyknit Moc grabbed the attention of many that dislike tying shoelaces. 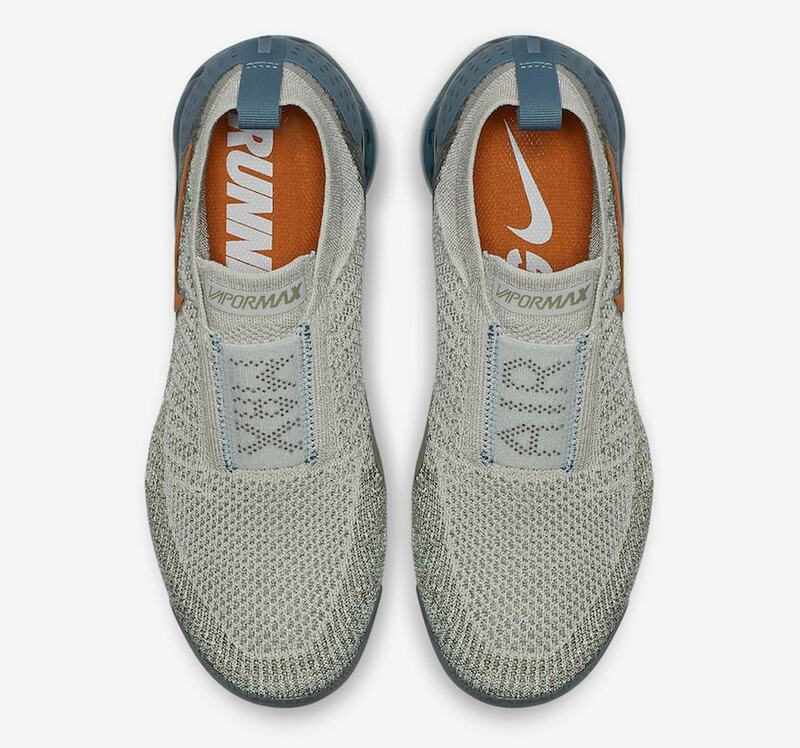 Titled the Moc because of its similarities to moccasin slippers, the Vapormax slip-on has been a solid blend between the casual and running fields. 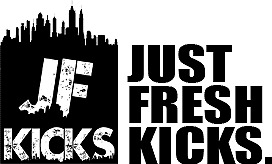 For runners, the effortless and even lockdown provided by the strap used instead of laces is a no-brainer. 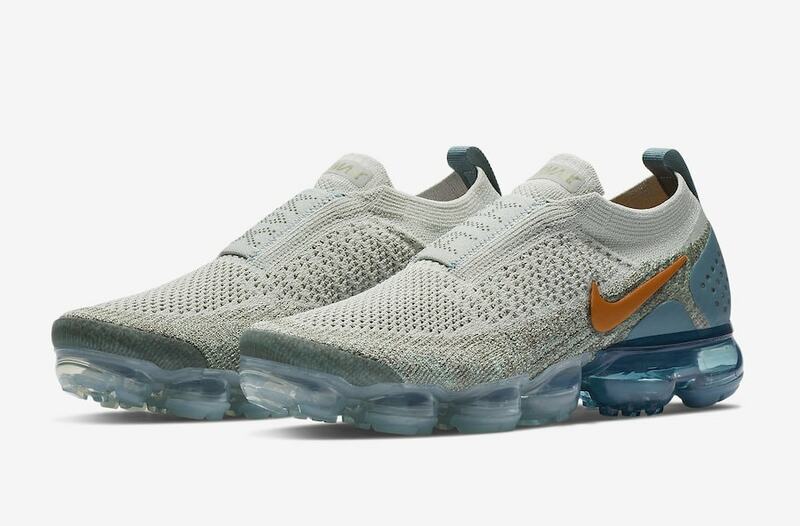 The second version of the Flyknit Vapormax without laces has altered the construction of the shoe slightly, shortening the elastic bands that stretch over the midfoot. The latest colorway of the Nike Air Vapormax Moc scheduled for release is a brilliant new addition to the sneaker’s lineup. The Flyknit upper comes in a sleek shade of light grey, framed by multicolor knit around the edges. 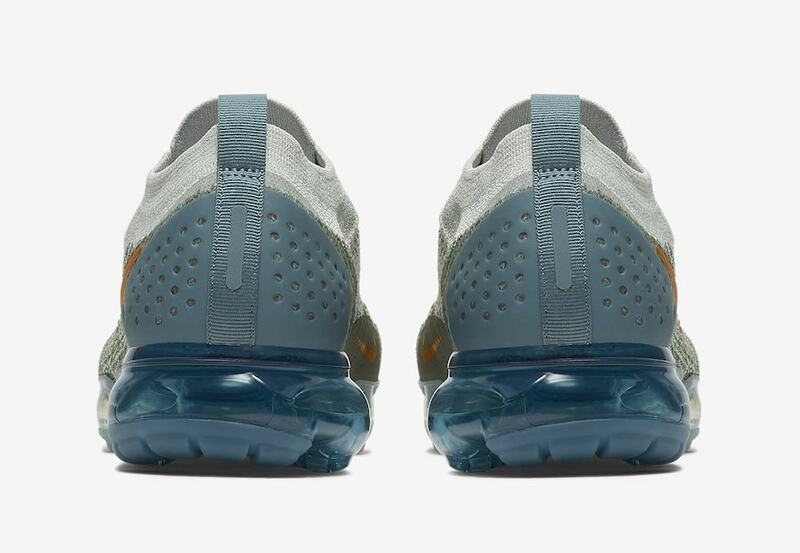 The lateral Swoosh stands out in Campfire Orange, while the “Celestial Teal” colored Vapormax outsole completes the look in a faded blue tone. 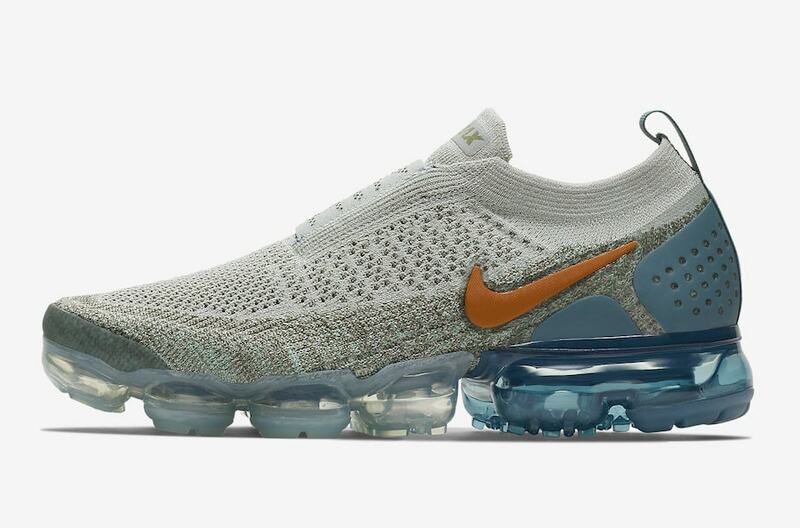 The next drop of the Nike Air Vapormax Flyknit Moc 2 is scheduled for November 1st, 2018. The clean new color blocking makes these a must-have for any Vapormax fans, though the $200 price point may be a limiting factor. 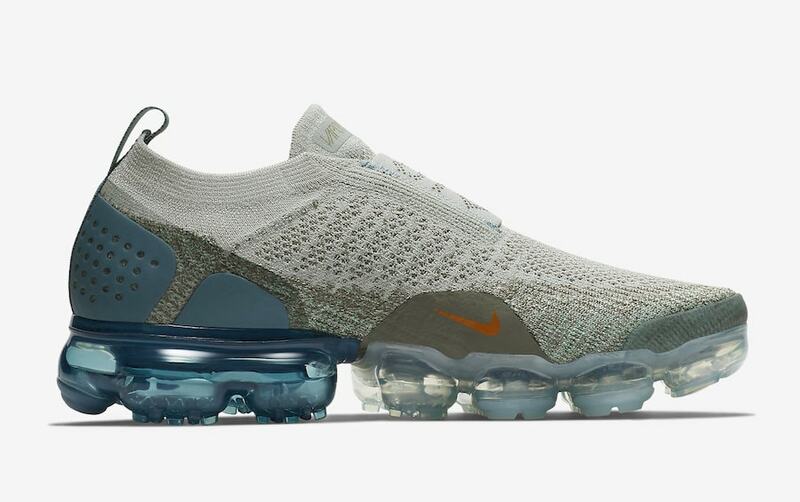 Check out the official images below for a closer look at the next Vapormax Moc 2 colorways, and stay tuned to JustFreshKicks for more Nike Air news.